Writer Tim Truman has stuck faithfully to Howard's original text in this adaptation. 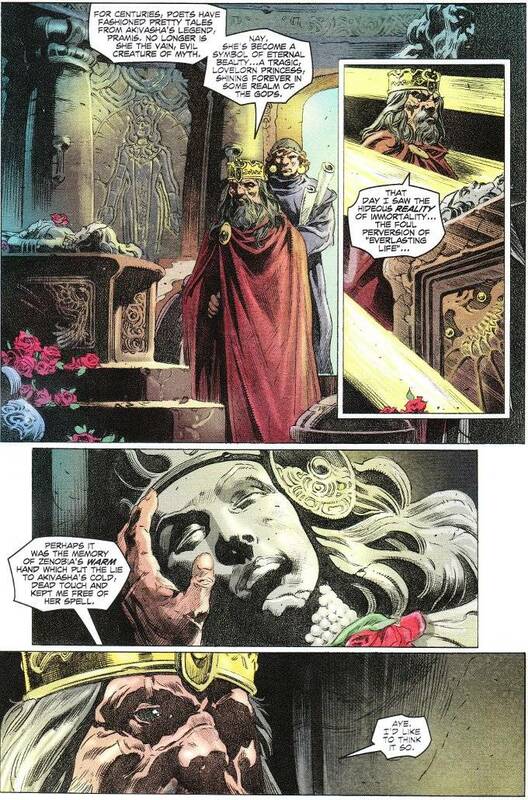 His only embellishment comes in the form of a frame story, in which an aged King Conan relates the events of The Hour Of The Dragon to an eager scribe. 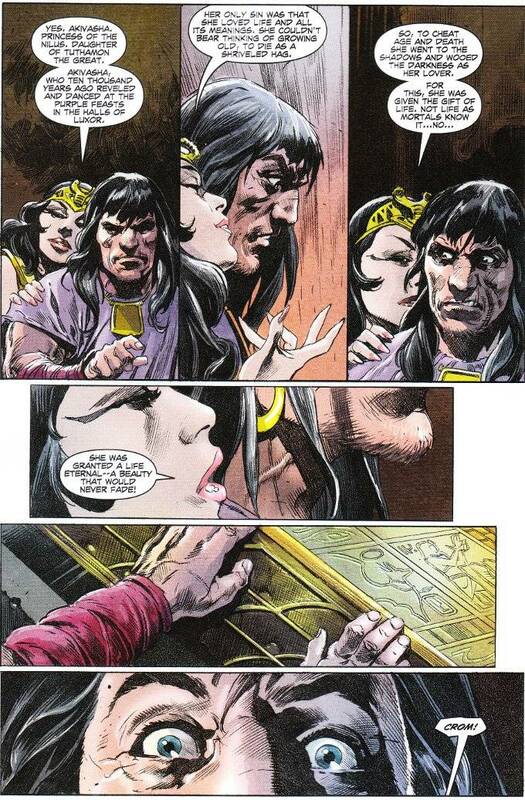 It is here that Truman adds a little definition to Conan's character, revealing the Romantic nature of the barbarian conqueror as he waxes philosophical on the power of love. Conan is not the sort to be sentimental but his passions are as great as his rages and Truman captures that expertly. The artwork by Tomas Giorello and Jose Villarrubia is as grand as the story. I find myself fast running out of ways to describe their brilliance as the conclusion of this miniseries approaches. So let me say this - many art teams have handled Conan The Barbarian over the past few years but for my money no team has done so good a job in depicting him as Giorello and Villarrubia.